Funny Boy: The Richard Hunt Biography is the life story of Muppet performer Richard Hunt. 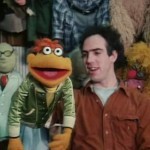 A born comedian, singer and entertainer, Richard Hunt enjoyed a masterful two-decade career with the world’s most popular puppet troupe, starring as a main performer on children’s television blockbuster Sesame Street and adult megahit The Muppet Show. He played a startlingly wide and wild variety of characters, embodying everyone from young gofers to mellow valley girls to wisecracking old men, using hand puppets, full-body costumes and remote-control technology to physically bring characters to life. Muppeteer Frank Oz calls him the “heart and soul of the irreverence of the Muppets”; his comic sensibility was integral to their phenomenal popularity. And he did it all while having a determinedly good time – even while time was running out. Hunt’s fairy-tale rise to fame is a rags-to-riches story born of stubbornness and desperation. The oldest son of a large poor family, he felt driven to provide when his alcoholic father fell short of the task. He cold-called the Muppets at 18, apprenticed rapidly, and was barely 25 when Time magazine called The Muppet Show “the most popular television entertainment on earth”. Over 200 million people in a hundred-plus countries tuned in each week to watch the five men perform their iconic puppet characters alongside a who’s who of western entertainment. Hunt began the 1980s ready to savor his happy ever after. But the decade quickly became a cat-and-mouse game with the AIDS epidemic, which picked off close friends, took his partner, and dangled a sword of Damocles over his own life. Yet Hunt seemingly never lost his signature irreverence, his dream of making “millions of people happy”. Both on and off screen he created a sanctuary of humor that continues to make life better for legions of people the world over. His strong will, hard work and unrelenting fun make his story a wry and engaging twist on the “tragic” AIDS narrative, for any story with Hunt at its center could only be an empowering comedy at heart. I am established as Hunt’s biographer, having conducted nearly 100 interviews with family members, colleagues such as Frank Oz and Brian Henson, and a variety of friends from different circles, in addition to accessing numerous archival materials such as Hunt’s letters and a rare, lengthy interview with him. I have lectured on Hunt across the country, and my research on him has been cited in MSN TV News and the New York Times. Funny Boy: The Richard Hunt Biography is a fitting biography of a man whose expansive spirit shines through his work. The book is lively and literary, scholarly and silly, elegant and edgy, a snapshot of a vibrant cultural moment, raising questions that remain controversial and relevant. Though his work is phenomenally famous, Hunt himself is curiously invisible – and his story is long overdue. Read the opening paragraphs here! Read an excerpt from the childhood section here! Read an excerpt from the high school section here! Read an excerpt from the 1980s here!